It's that time of year again folks. Time for the Weapons of Mass Creation Fest! In its third year, this year is bound to be just as amazing as the last two. The Weapons of Mass Creation Fest is the premier art, design, and music event in the Midwest. Now in its third year, 1,000+ attendees will descend upon Cleveland for three days in June to see 20 speakers, 20 designers, and nearly 30 bands. Creative professionals, entrepreneurs, musicians, artists, students, and fans will gather to learn, get inspired, collaborate, network, and celebrate together. 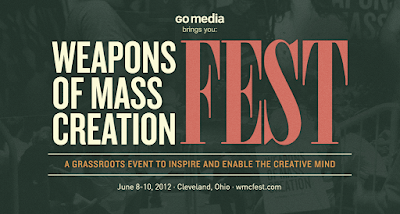 WMC Fest was founded by Go Media designer and partner Jeff Finley in 2010 as a passionate side project. In 2011 he brought in Jesse Sloan to handle the music portion and Joseph Hughes to help organize the speakers. You can read up more here. Read more about all the speakers here. 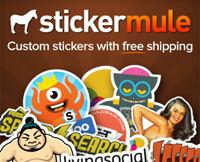 Read more about all the designers here. Read more about these bands & all the rest here.